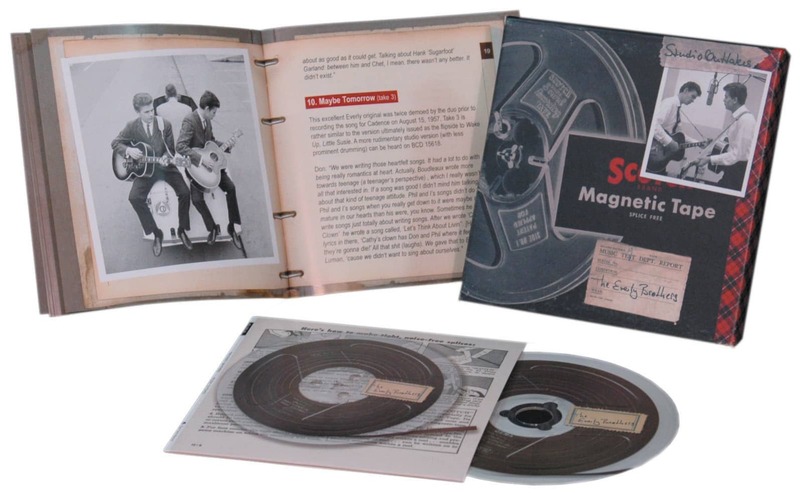 8-CD Box/1DVD (LP-size) with 204-page book, 183 tracks, playing time 531:58 minutes. Bonus: A complete concert from Sweden in 1965. 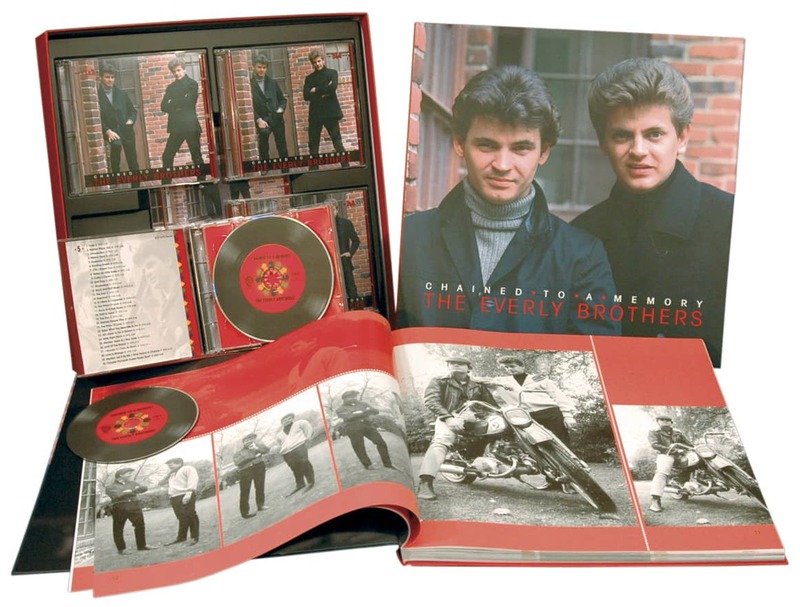 The final chapter in the Everly Brothers' recorded legacy is completed with this third album box set (in Bear Family's series) covering the recorded works of the legendary Everly Brothers. Including all existing masters for their sessions from 1966 through 1972, 'Chained To A Memory' chronologically collects singles, album tracks, outtakes, demos, first-time stereo mixes and rare promos recorded for the Warner Bros. and RCA labels. 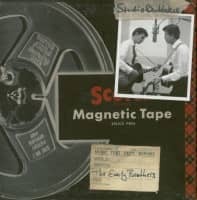 Material from such albums as 'In Our Image', 'Two Yanks In England', 'The Hit Sound Of The Everly Brothers', 'The Everly Brothers Sing', 'Roots', 'The Everly Brothers Show', 'Stories We Can Tell' and 'Pass The Chicken And Listen' is featured, bringing the Everly Brothers story to their initial split. The set contains 50 previously unissued performances, plus as a bonus a 1965 Swedish concert with Sonny Curtis and Jim Gordon. The album box is topped of by a mammoth hardbound book featuring a 1966-1973 day-by-day chronology of Everly Brothers' recording sessions, concerts, as well as radio and television appearances by noted Everly Brothers historian, Andrew Sandoval. The book is illustrated with hundreds of images (many of which are heretofore unseen) and a full discography featuring recording information and extensive personnel credits. Placed alongside Bear Family's 'Classic Everly Brothers' box (which collected the duo's Columbia and Cadence sides) and last year's 'Price Of Fame,' this is the be-all-and-end-all for Everly Brothers enthusiasts. A must-own collection of music covering the Everlys' repertoire of Rock, Country, Blues, Pop and so much more. Compiled with the greatest care from years of research, this album box set makes all other releases of the Everly Brothers from this era obsolete. Born into music, Don and Phil began performing as children in the mid-40s. Their father Ike Everly, an accomplished guitarist, hosted a variety of rural radio programs which eventually incorporated his whole family. Wife Margaret and sons Don (born February 1, 1937) and Phil (born January 9, 1939) all took their turns at the mic in varying combinations as they honed their harmony skills. However, by 1953 the family's format had reached its end. As recorded music overtook the need for live performers, Don and Phil became infatuated with introducing rock and rhythm and blues flavors to their standard folk and country repertoire. The mid-'50s found the family struggling to survive. Ike and Margaret worked odd jobs to support their sons' burgeoning musical career, while Don and Phil focused on songwriting and knocking on doors near Nashville. Their first recording deal with Columbia was a fleeting failure and it was not until the duo met up with Wesley Rose that they were truly on the path to success. Being one of the most powerful music magnates in Nashville (and the owner of the colossal Acuff Rose publishing company), Wesley Rose found the brothers a home with East Coast indie label Cadence Records. Rose further coupled Don and Phil with the husband and wife writing team of Boudleaux and Felice Bryant, and the rest is, as they say, history. 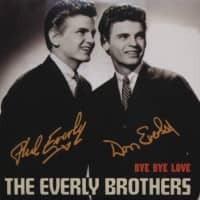 The Everly Brothers' first Cadence release, 1957's Bye Bye Love, began a solid string of thirteen Top 40 hits for the label. But by 1964, the Everlys and many of their label mates had departed from Cadence (and the charts). Resultantly, founder Archie Bleyer sold his musical assets to former signee, singer Andy Williams. Although Williams held back the Everly masters for six years, 1970 saw the first in a flood of nostalgic reissues of the duo's Cadence recordings (a trend which continues to this day). Nevertheless, these collections are simply a shuffling of the same forty songs the brothers cut for the label. March 1985 saw the first compilation that deviated from this format, Rhino Records' 'All They Had To Do Was Dream'. Compiled entirely from outtakes and demos, this set lifted the lid on what still remained within the Cadence archive. Bear Family's 'Classic Everly Brothers' (BCD 15618) box set further collected these outtakes with a few added obscurities, giving enthusiasts and historians a more complete picture of what occurred during those times. Now, some twenty years later, Everly fans are once again allowed back into the archive to hear a newly unearthed set of working versions and musical sketches from that magical era. A compelling study of the creative process behind the legendary Cadence masters, this set gives one a fresh perspective on these, the Everlys' most popular sides. You won't hear perfection at every turn. Yet, nearly every track exhibits a talented team on the verge of a musical breakthrough. So, pull up a chair and join us at RCA Victor Studios in Nashville, as we join the Everly Brothers in session. Customer evaluation for "Chained To A Memory (8-CD - 1-DVD)"